Check out Spot Golf – easy, affordable, quick, convenient, and fun for golfers and non-golfers of all ages. Spot Golf Ranges and Games are designed to be challenging for golfers, yet fun and easy for non-golfers and gamers! 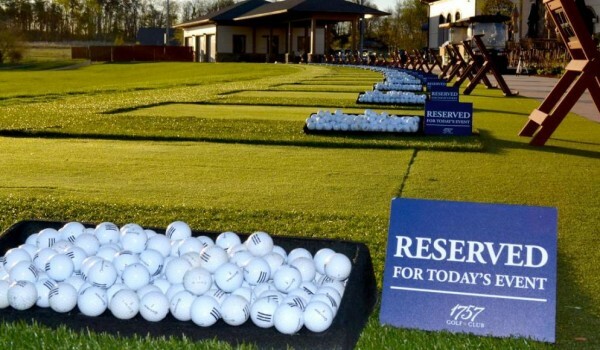 Spot Golf ranges use regulation balls, provide free top quality clubs and are open daily for lunch, dinner and late night social entertainment. Come experience the joy and thrill of Spot Golf. Spot Golf in-bay play and apps for iPhone, iPad and Android devices, links real world golf range targets for closest to the pin, longest drive, kids games and more, with state-of-the-art video game graphics displayed on monitors and mobile devices for day and night play. Spot Golf Multiplayer Games are fun for business entertainment, parties, family celebrations, and competitive for leagues and tournaments. Golfers, gamers, and non-golfers can have fun playing Spot Golf Games and socialize while competing. Cloud based MySpotGolf.com social media site links the player community via online leaderboards and promotions. Spot Golf Ranges offer lunch, dinner, and late night snacks, feature a selection of locally sourced food, drink, wine and craft beer. Enjoy a meal while playing Spot Golf Games or just visit with a friend for a delicious meal or fun night of entertainment out on the town. Stay after you play, or come to a Spot Golf Range for the fun and to enjoy live music and special events. Bring a friend or meet new ones at social game nights. Come for the excitement, entertainment and prizes, or just to play and party the night away. Spot Golf cares about the environment and is committed to recycling and sustainability, while providing an upscale entertainment and fun experience. Coming visit a Spot Golf sweet spot near you. and fun for golfers and non-golfers of all ages. 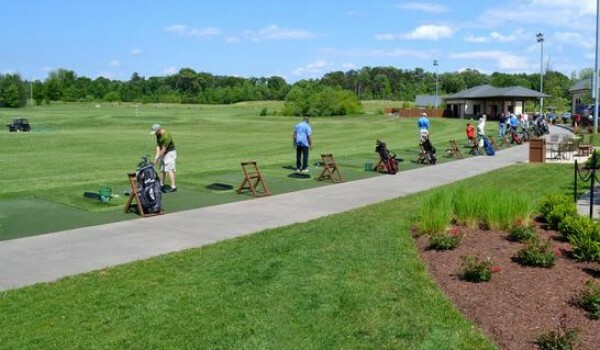 Spot Golfers enjoy a real golf range experience while they play for fun and prizes. The Spot Golf game integrates real world golf range targets with video game graphics to enhance the user’s experience. Non-golfers and beginners can play Spot Golf Games and easily score points. Players can select from coaching modes to guide each swing while they play and improve. Built in training modules and instruction modes offer players up to 24 metrics, including club swing speed, angle of attack, smash factor, ball speed, spin and rotation, distance and accuracy. Play for fun, or to improve, compete and win prizes. The Company - Innovation is our lifestyle. Today the world operates at a faster pace; time and money are precious commodities. We are committed to creating a new golf experience, combining entertainment, golf and gaming. Spot Golf allows for greater flexibility than a round of golf, both in time, cost and convenience. Our team of creative entrepreneurs joined forces to bring golf into the 21st century with the creation of Spot Golf Games and Spot Golf Ranges. The founders and executives have long term experience in design, construction, and operation of golf driving ranges and golf courses, entertainment and recreation properties, business development, financial management, high tech gaming and advanced technologies. © 2017 -> All rights reserved.